Allows normal sweating of the skin. 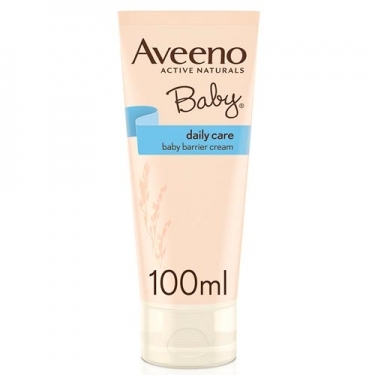 DESCRIPTION: Baby Barrier from Aveeno is a cream formulated with naturally active colloidal oats and zinc oxide, this barrier cream helps restore skin barrier function and prevent diaper rash. The texture of colloidal oats and their beneficial components such as proteins, lipids and saponins make it suitable for use in moisturizing creams, cleansing gels and other products that help to clean, smooth and protect the skin. Apply to the affected area, clean and dry, with each change of diaper.